June | 2008 | Ipoh Mali Talak Sombong! *This is not a post on any Korean restaurant (although it sounded like one). DuanWu Festival week was certainly a fruitful week for me; I took one day leave to document the process of making rice dumpling by mom, went for lunch with CityGal and J2Kfm and on the last day, Janvier and Chief made a stopover in Ipoh while on their way back to KL from Penang so I got to take both of them for lunch and some shopping. 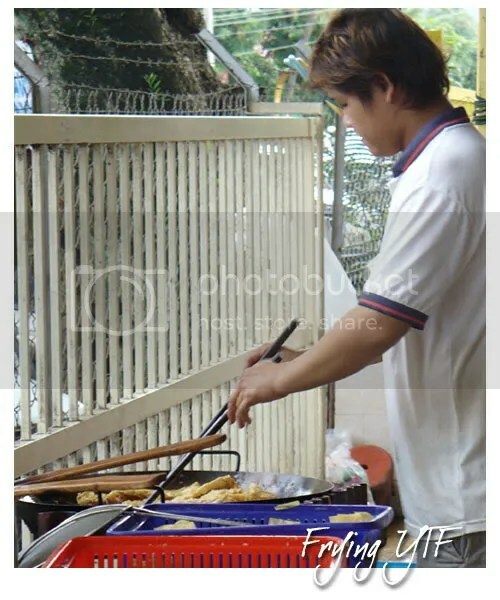 When mention about yong tau foo in Ipoh, many people will say “dai shu keok” which literally means “under the big tree”. Located in Pasir Pinji, there are few stalls here but the most crowded would be the stall selling yong tau foo. But lately, I was told that a small food court was built just next to the big tree and there’s a stall selling the same yong tau foo but operates by different owner. The food court was just start operating for about 6 months but the yong tau fu stall attracts numerous patrons, just like the original one. 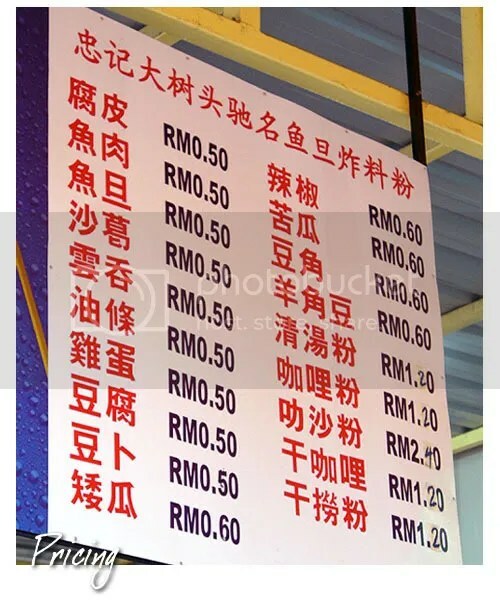 Both deep fried items (fried wantan, fish roll, fu chok) and non deep fried items (bitter gourd, brinjals, beancurd with fish paste) are available, RM 0.50 – RM 0.60 per piece; just get a pair of tongs and a bowl and start picking! 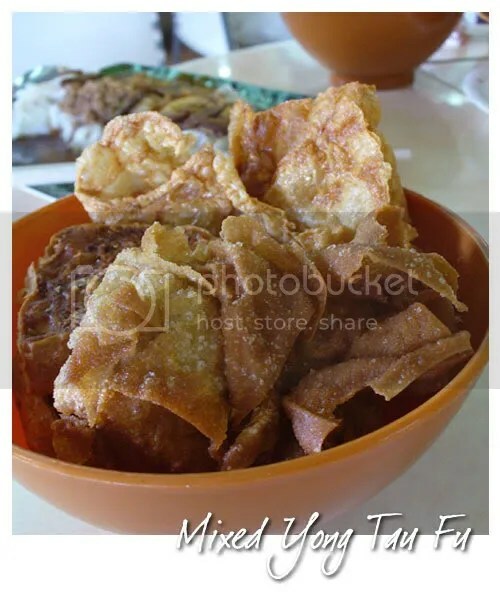 And although it might sound exaggerated, some people can come up with 2-3 bowls of yong tau fu (not include the noodles yet). While Janvier and Chief got themselves a bowl full with mixed yong tau fu and noodles, I only went for the fried stuff. Everything came fresh from the wok and thank goodness, they’re not too greasy. The fried wantan was pretty good despite the slighly thick skin. Fu chok was a bit chewy though, probably because it’s cold. 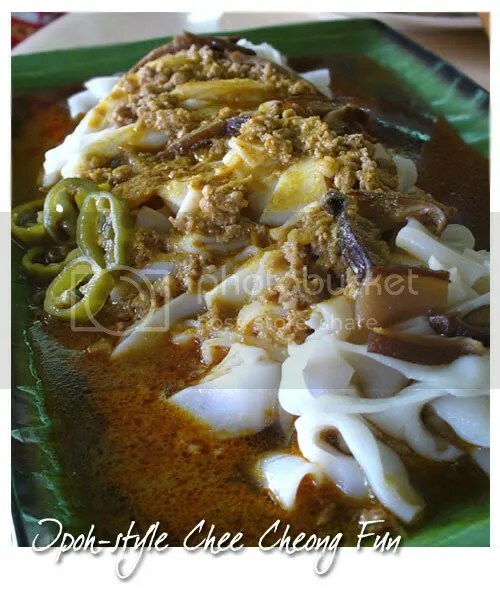 And yong tau fu is best eaten with the Ipoh-style chee cheong fun, drenched with a combination of curry and mushroom gravy, topped with pickled green chillies, mushrooms and minced pork, RM 4.00. If you prefer, you can ask the auntie to add on some pork skin too. The CCF was smooth, practically glides down the throat and the gravy was flavourful. But it would be better if she serve it with sesame seeds. Janvier, upon seeing it, immediately order another plate to be shared among him and Chief! 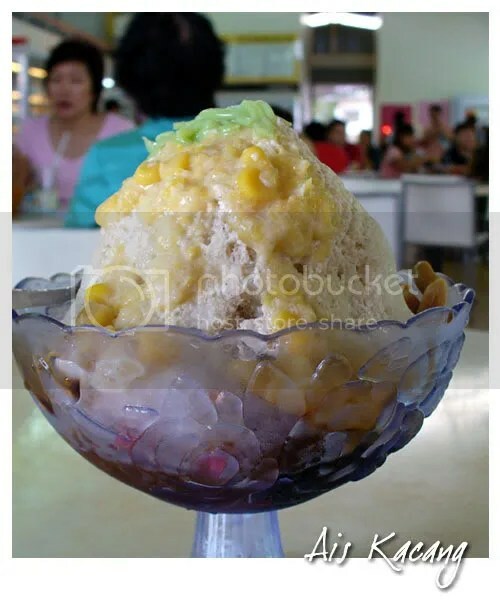 The finale, wash them down with a humongous bowl of palm sugar ais kacang, RM 2.00. The picture does not make justice to the serving as it’s really a big portion (I wasn’t able to finish it, so go figure how big the serving was). For shopping part, I brought them to buy salted chicken from Aun Kheng Lim and Gunung Rapat heong peng. They wanna have ice cream soda at Lok Wui Kui and Funny Mountain tau fu far too but both were closed on that day. More reasons for a second trip, Janvier? 1. The original “dai shu geok” yong tau fu is closed every Sunday. 2. The original stall is located under a big tree, NOT inside the food court. 3. Their assam laksa is not recommended. Read my previous visit here. 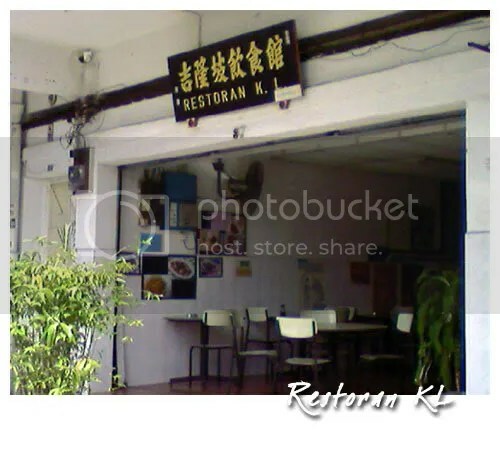 I used to frequent this shop during lunch when I was still working in Ipoh as my working place was somewhere nearby. My colleagues told me that their pork chops are the specialty. *Picture taken with my phone’s camera. Located just a few doors away from Chor Kee coffee shop, this humble little eatery belonged to an avid photographer, James Ting and his wife. James is also the member of FIP (Foto Imej Perak Association) where you can have a look at his works which were printed in 8 inch x 12 inch size photo paper and stucked on the wall behind the counter in his shop. 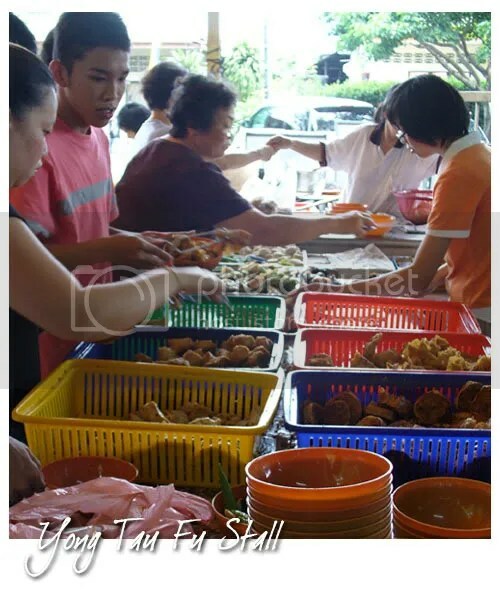 Apart from pork chops, you can choose from a variety of other dishes such as fish, stir fry veggies, beancurd, egg, chicken and seafood, just like a normal economy rice stall. 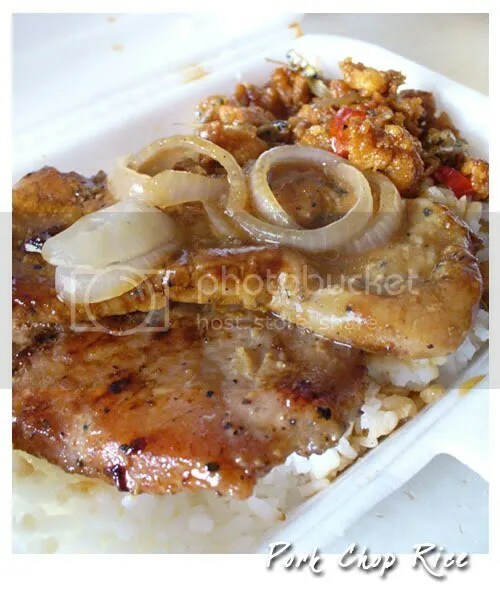 Do notice that they have two types of pork chops; dry version without the sauce and black pepper with onions. I usually will request for both and I prefer the black pepper one as it is more tender and flavourful. Guess how much does this costs? 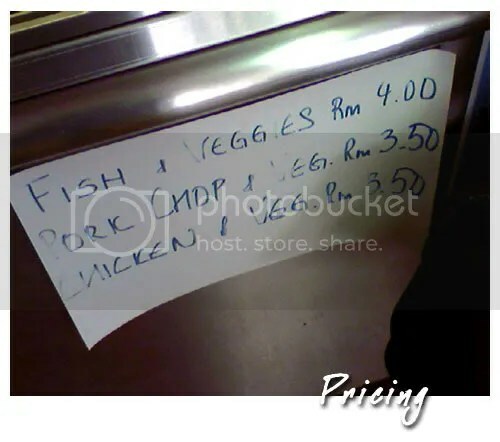 2 big pieces of pork chops and one side dish is just RM 3.50. DuanWu or Dragon Boat Festival is a Chinese traditional and statutory holiday, falls on the fifth day on the fifth month of the Chinese calendar. 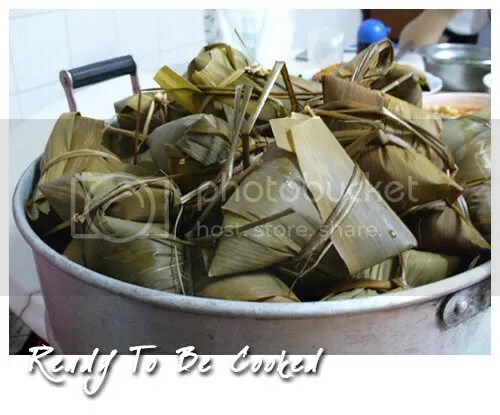 The Chinese, Vietnamese, Thais, Cambodians and Laos celebrate the festival with rice dumplings known as zongzi or bak chang wrapped in bamboo leaves. This year, DuanWu falled on the 8th of June. 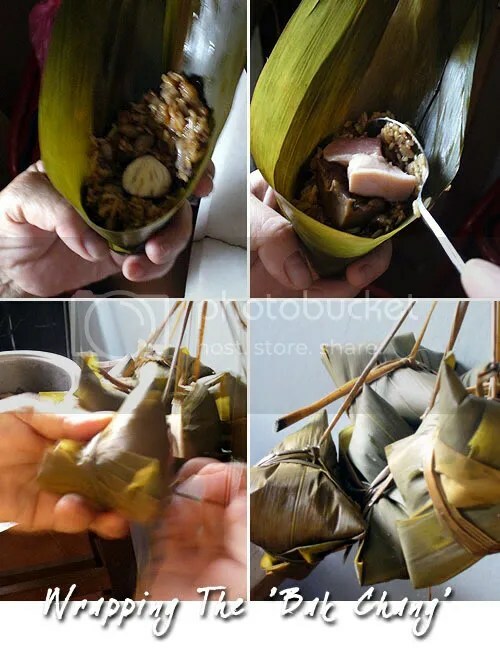 Read more about zongzi here. I missed the festival last year so this year, mom insisted that I take leave and go back to eat the dumplings she make. She make them every year for as long as I can remember. The good thing about homemade dumplings are: you can customise them yourself. As my dad and me doesn’t take pork (I don’t like steamed pork while dad doesn’t eat them at all), mom will specially make a few ones without pork but with more beans and dried shrimps. Here’s a rough idea on the ingredients and how to make them. 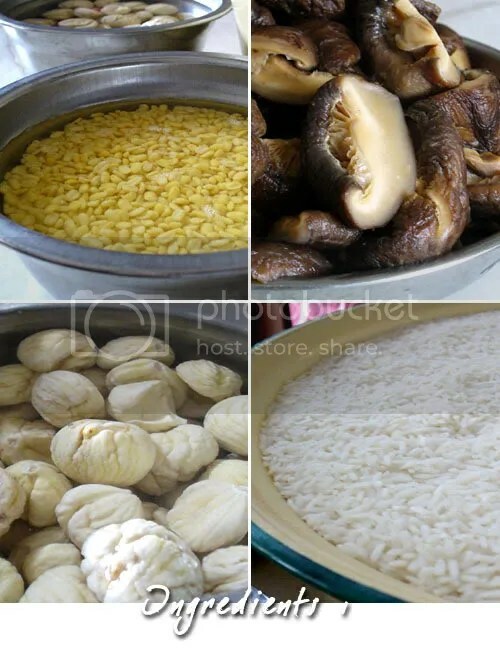 So basically, mom will use beans (mung beans and another type which I forgotten to ask her the name), glutinuous rice, mushrooms, chestnuts, garlic, salted duck egg, pork, dried shrimps, bamboo leaves and strings. You can add other type of filling such as Chinese sausage or braised peanuts too. 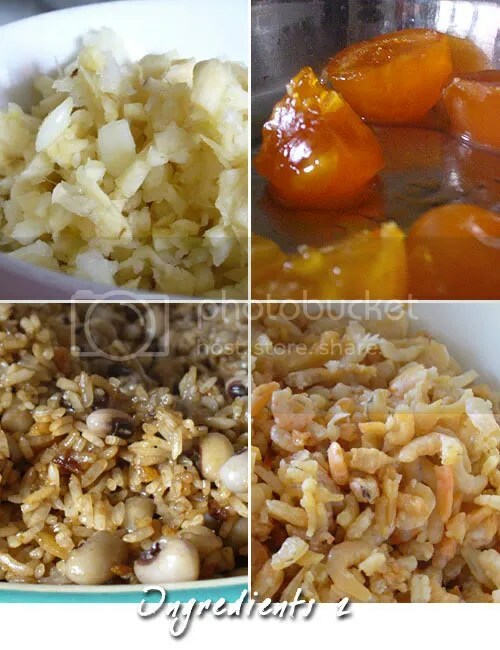 Soak the rice, beans, mushrooms, chestnuts overnight and wash the dried shrimps. The bamboo leaves and strings should be soaked and washed few days earlier to remove any residue. Heat oil in wok and stir fry the dried shrimps till fragrant. Put aside, heat oil again and sauté the garlic till fragrant. Add in the beans, stir and the rice. Mix well, add in seasonings (dark soy sauce, five spice powder and salt) and toss till everything are evenly mixed. Put aside. Take two bamboo leaves, on top of another and form a “cup” at one end. Scoop in the flavoured rice, salted duck egg, mushroom, pork, dried shrimps and chestnut. Cover them with another layer of rice. Cover the open part with the other end of the bamboo leaves and fold to in a tetrahedron shape. Using the strings, tie on the middle part of the dumpling two times before complete it with a knot. Make sure the dumpling is tied securely before the knotting part to avoid the filling spills out during cooking. Steam the rice dumplings for about 2 hours, depending on the size and ready to be served.